A bird in one hand, wood and stone in the other. 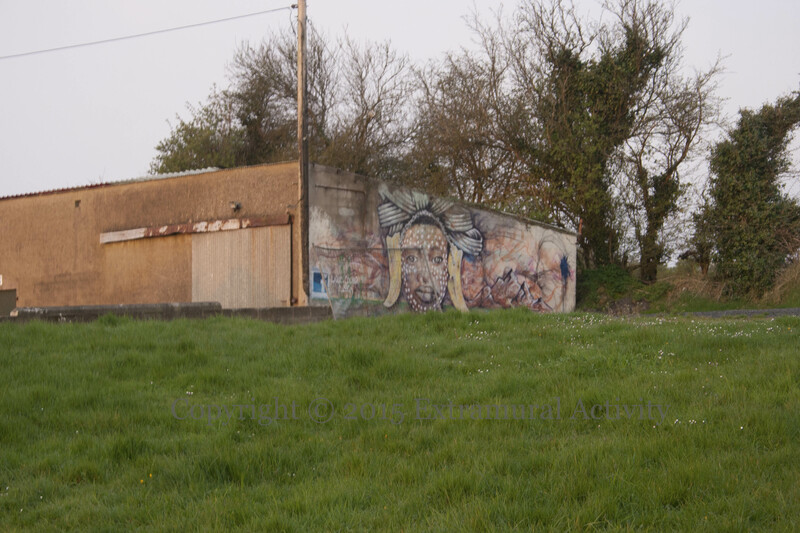 Work by emic (ig | tw | web) in Crossgar, Co Down. Poet Seamus Heaney died on this day 2013 and the gravestone erected in St Mary’s, Ballaghy, on the same day the following year. The epitaph is “Walk on air against your better judgement” from the poem ‘The Gravel Walks” in The Spirit Level. Cousins Francis Hughes (Ó hÁodha) and Thomas McElwee (Mac Giolla Bhuídhe) were the second and ninth of the 1981 hunger strikers to die. They share a grave in St. Mary’s churchyard in their hometown of Bellaghy, Co. London-/Derry. The image above shows their gravestone “erected by the people of Co. Derry and Co. Antrim”. 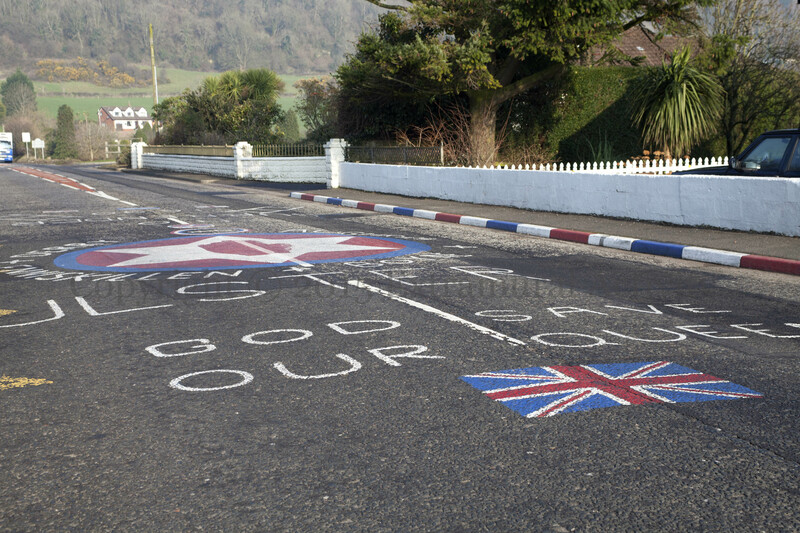 The town of Armoy, County Antrim, hosts an annual motorcycling road race, the Race Of Legends. 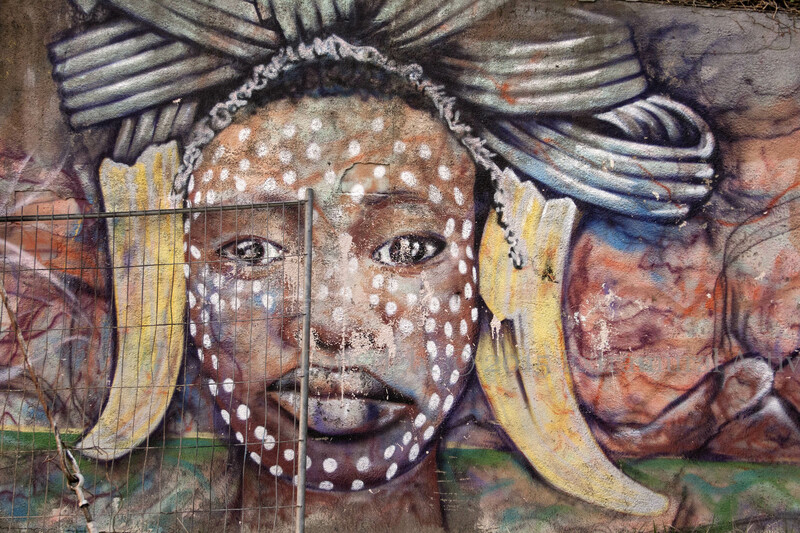 The windows of the (closed) Victory Bar is filled with images of motorcyclists. Robert Dunlop is shown above and brother Joey is two windows to the left. Both brothers died as a result of racing accidents. Sons William and Michael are also featured. 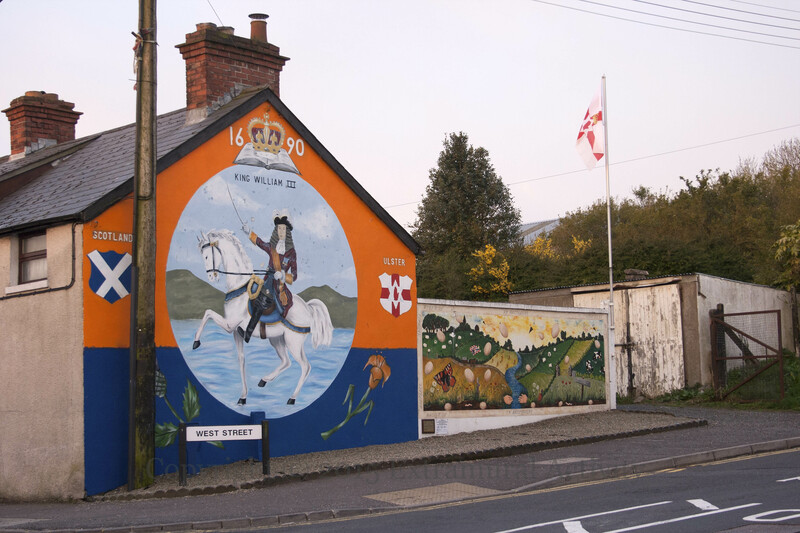 UVF-YCV mural on a stone wall in Magheramorne (south of Larne), repainted (see the version in 2008, below) and with three flags added. 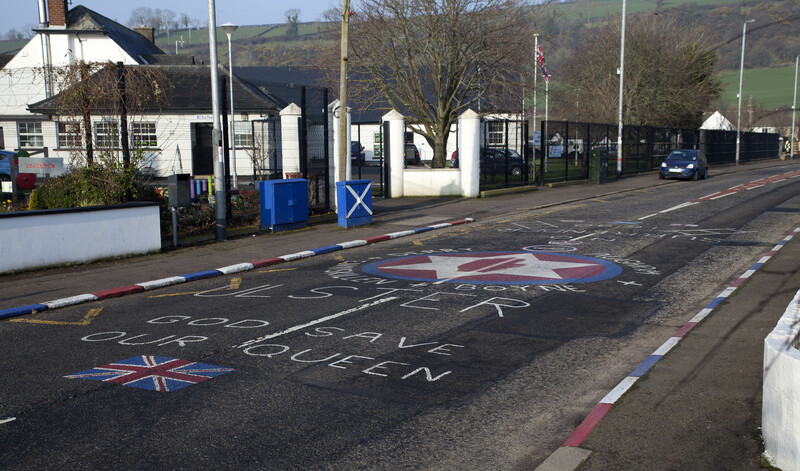 Above and below are summertime images of the Main Road in Glynn, just south of Larne, County Antrim, marked with the union jack and flags of Scotland, Northern Ireland and England and Orange symbols such as the crown, a key (for the Siege of Derry, rather than the crossed keys? ), Jacob’s ladder, along with the six-pointed star. This trio of Ulster Defence Association, Ulster Freedom Fighters, and Ulster Young Militants boards are in Holywood, County Down. 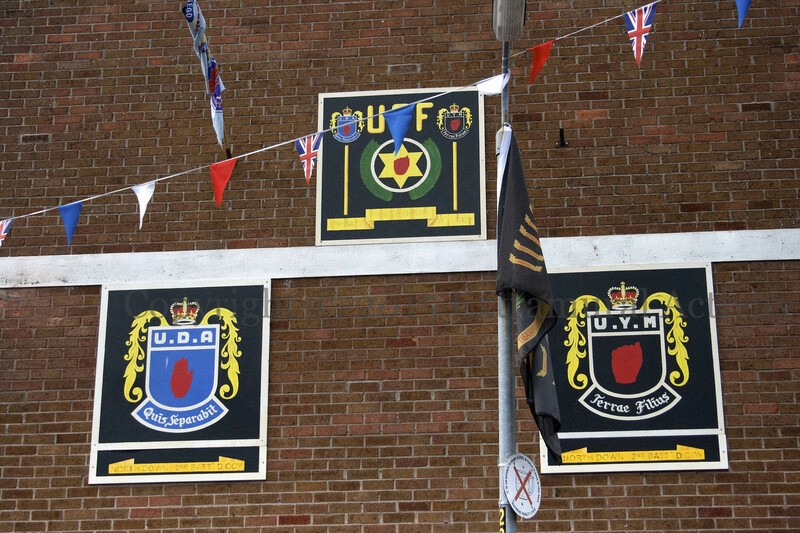 The overtly paramilitary UFF acts as the link between the others, in that the UDA and UYM emblems appear in miniature alongside its own. The UFF slogan “Ferriens tego” is missing from its board. The local troop is the North Down 2nd Batt. D Coy. 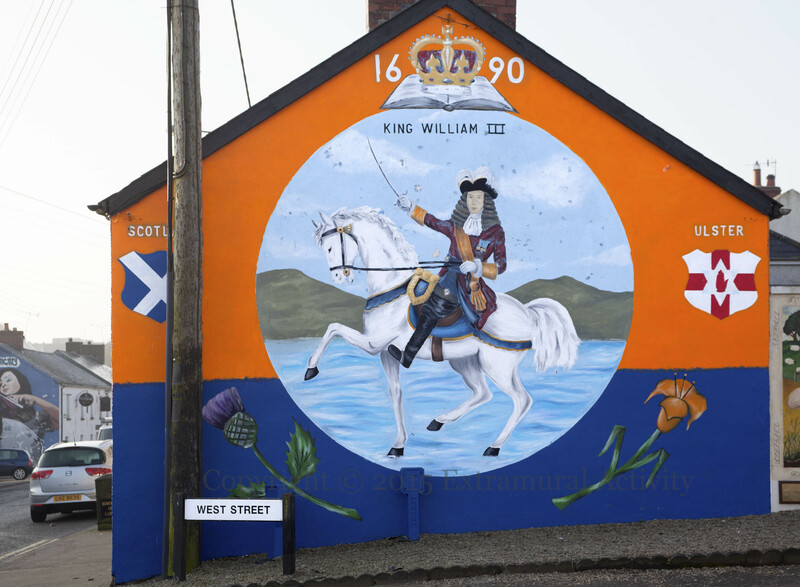 Here’s a loyalist mural in classic style, though not seen much of late: King William “Billy” III of Orange crosses the Boyne, sword drawn, on a white steed that walks on water. The crests of Scotland and Northern Ireland (labelled as “Ulster”) and the Scottish thistle and orange lily of the Orange Order fill out the quadrants. The mural to the right was featured in By The Mutton Burn Stream (and in the wide shot, below) and the one in the distance on the left in The Craic Is Mighty. Chinese, Cantonese, European, and Presbyterian. 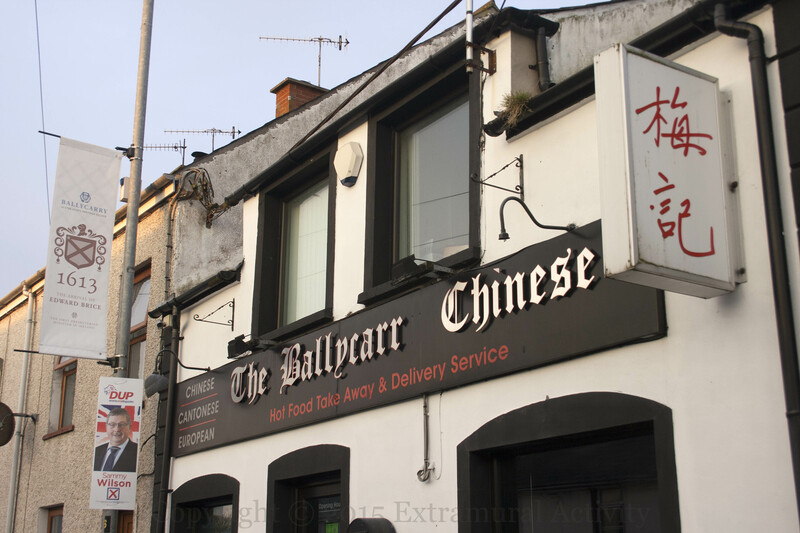 Three signs outside the Chinese take-away in Ballycarry: the Chinese lettering for the restaurant, a DUP poster supporting Sammy Wilson, and an Ulster-Scots heritage banner: “1613 The Arrival of Edward Brice – The first presbyterian minister in Ireland”.